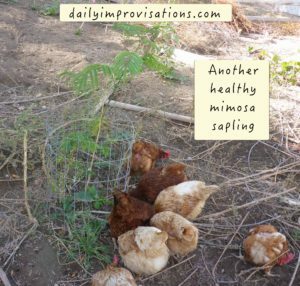 Last spring, I finally planted three of my mimosa trees out in the front chicken yard. Since the trees were barely a foot tall when I planted them and because chickens tend to scratch like bulldozers in freshly dug dirt, I formed cylindrical cages for the little trees out of 14 gauge wire fencing. This kind of fencing bends easily and is the same stuff I used to make the cat barrier covers for my raised beds. Two of those three trees survived the winter well, growing their main trunk another few feet. The third one died back to the roots, but started growing again from ground level. 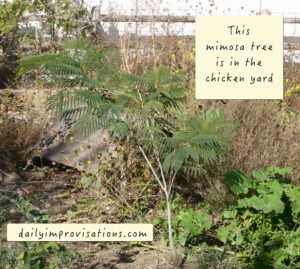 This is what happened to my original mimosa tree, the parent tree of these saplings, so I am hopeful it will also do well in the long run. All of the trees have healthy looking leaves. 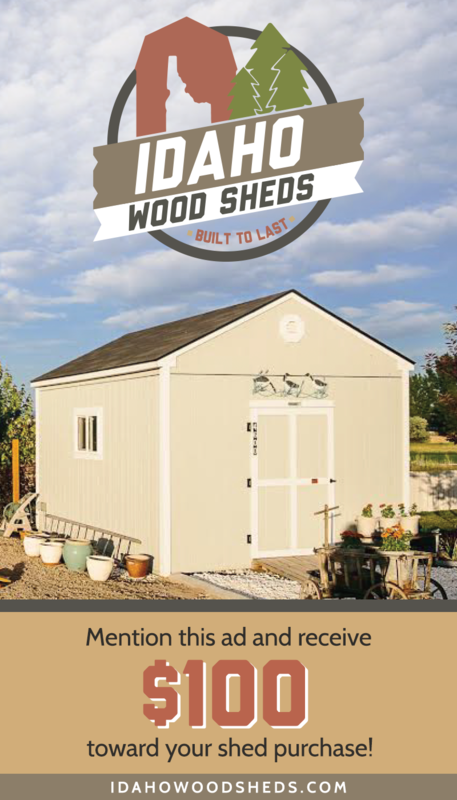 It is easy to envision how lovely it will look to have three blooming mimosa trees out there, once they get mature enough to bloom. I will be able to see them from the living room window. 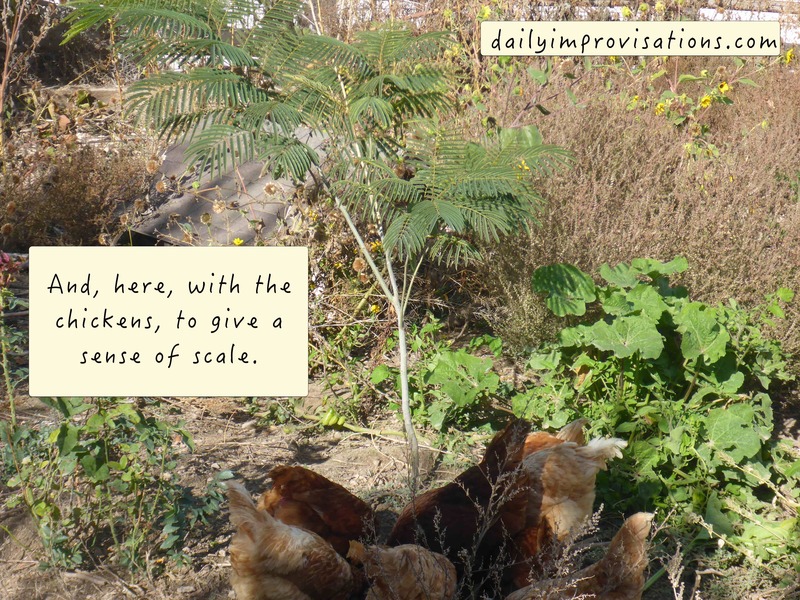 They should provide some very pretty shade for the chickens, too. 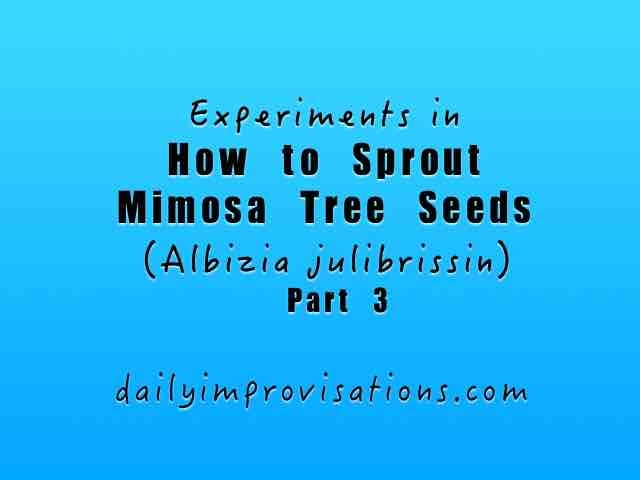 Earlier this spring, I visited the only other mimosa tree I know of in my area. My son had spotted it down a country side road. I don’t know how old mimosas live to be, but that tree looks ancient. It is still blooming profusely, and looks large and strong. It makes me happy to think my small mimosa trees can live to be so sturdy in this high desert climate. 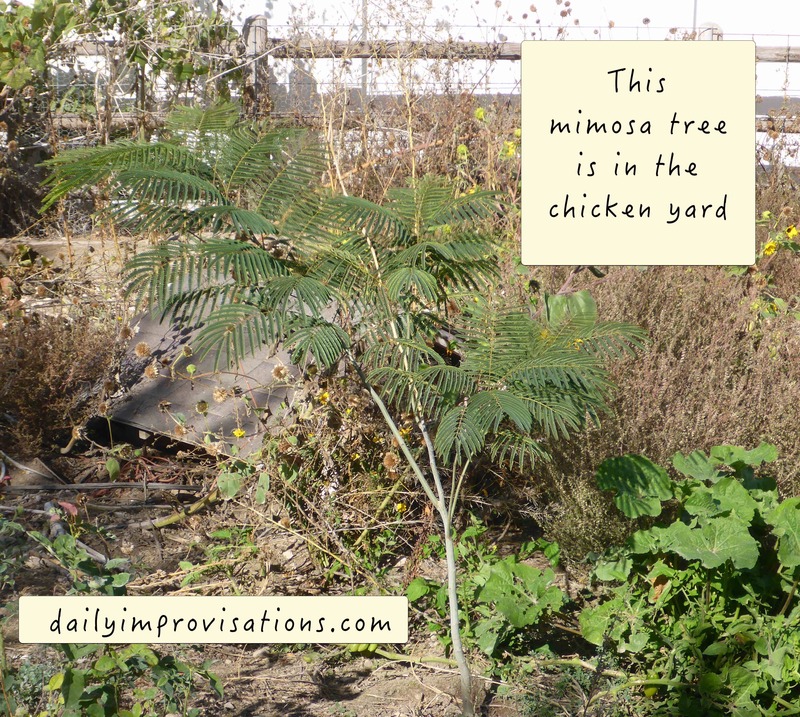 I don’t anticipate growing any more mimosa trees for my acre, but it might end up being a good gift idea for a friend. I would have fun growing them again. 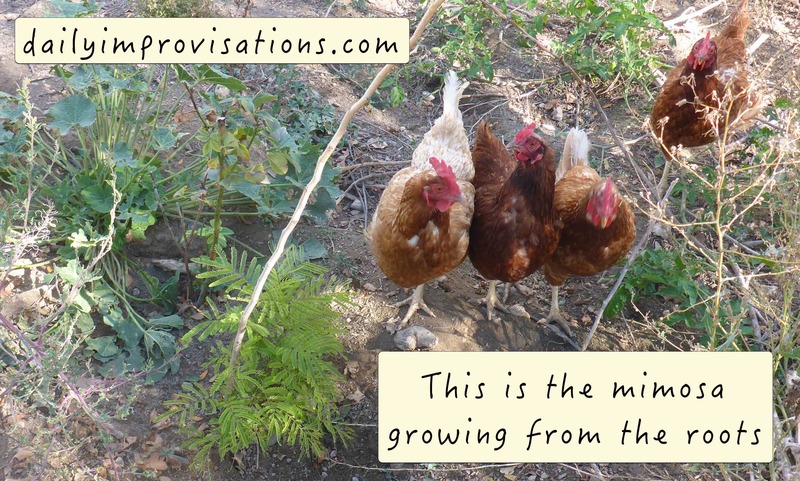 Once they sprouted, they were not fussy to take care of at all. I expect I may also have the option of just digging up mimosa tree volunteers. I have seen a couple in my back yard, but not enough to be obnoxious. 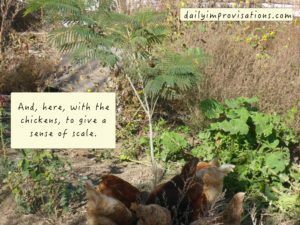 The chickens will probably make any volunteers in the front yard unlikely. 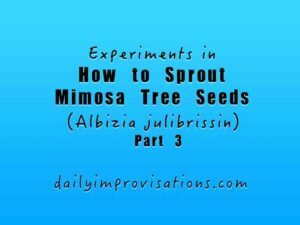 If you live near me, and want me to keep my eyes open for a baby mimosa tree for you, let me know!